When looking for ways to make your pay stretch a little further or maybe build your savings, the first place you probably think to cut back is on all the little luxuries—daily lattes, dinners out and the like. And while keeping a careful eye on this kind of spending is certainly important, when you save money on these purchases, each discount only happens once. To really maximize savings, you need to cut your recurring expenses. And then, let the savings add up. Though it might seem that the costs of goods and services only go up, in fact, they sometimes go down. Competition and new technology often bring down prices for monthly services such as cable, telephone, and the Internet. This creates an opportunity to cut those monthly budgeted expenses. Competition in this industry means that new cable and satellite TV packages that could save you money are constantly becoming available. Television and phone/Internet providers now bundle together services, so consolidating your phone, Internet and TV services at one company may save money. New customers, whether bundling services or not, usually get the best deals, so it may be necessary to switch providers. But sometimes threatening to switch will net you a discount. Also, if you're really serious about saving money, consider downgrading your package by cutting out pay cable channels. And then there is the question of whether you actually need cable or satellite. 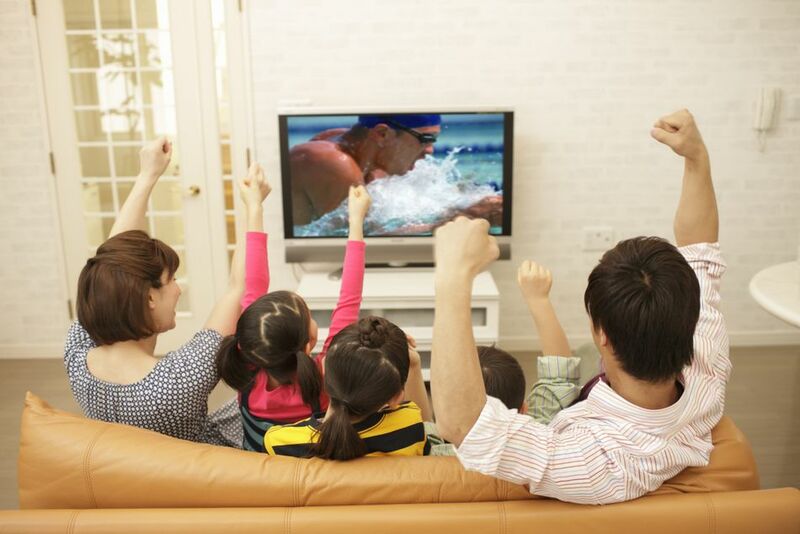 With streaming video services and a digital antenna, you may be able to get all the television you need without them. So many people are getting rid of their landlines entirely, it seems a rare household that actually still has one. However, if you work out of your home, especially if you are a home call center agent, a landline may still be necessary. If you have a business and a home phone line (or a fax line), you should consider discontinuing it. With a scanner, you can email documents as PDFs instead of faxing; there are programs that will allow you to receive a fax as an email. If you do need a landline for your business, do you also need one at home or will a cell phone do? If you do need all those phone lines, keep in mind that, like cable and Internet providers, landline phone service packages keep getting cheaper as more competition comes on the market. Consider VOIP or cable phone services. If you do stay with your traditional telephone company, be sure you are getting the cheapest long distance service and not paying for services you don't need. Shopping around for a better package of telephone and/or TV services might also save you on your Internet access, especially if you use DSL. There are many other options for Internet services including cable, satellite and a whole host of wireless Internet options. Also, the speed of your Internet connection directly affects the price, so only pay for as much speed as you need. The Internet is a telecommuter's lifeline, so do your research first. Be sure if you change service providers the new one will offer the services and reliability your business needs. Do you really need a new phone and what is the hidden cost up sticking with your plan to get it? Are you using all the minutes allotted, if your plan has limits? If you have an unlimited plan do you make enough calls to make that worthwhile? Same goes for data. Are you paying for Internet and texting but not using it enough to justify the cost? Or are you using it so much that another plan might be a better deal? Would a cheaper plan or a prepaid cell phone serve you just as well? By simply logging into your account at your cell phone provider, you may be offered a cheaper package. Or, call and ask for one. Compare prices for auto, home, health, business and life insurance. Consolidating at one insurance company could lower your insurance costs. That might mean you'll need to take your business elsewhere to save money. But before you do, be sure you're getting all the discounts you deserve at your current company. Consider raising your deductible for lower rates. Ask your agent what other discounts you might qualify for. Often working from home could mean a discount on auto insurance. Bank fees are often small but they add up month after month. Check to see if you are still paying a monthly fee even though your bank now offers free checking. Particularly if you have direct deposit, most banks offer some type of free checking. Do you incur ATM fees because your bank's machines are not convenient? It might be as simple as reviewing your current bank's options or you might consider migrating your account to a bank with more ATMs in your area. Refinancing your home can cut your monthly budget expenses significantly, sometimes saving hundreds of dollars per month. But refinancing involves many potential upfront costs (interest points, taxes, fees, etc. ), so it may take several months (or even years) for you to actually realize these savings. And if you're not planning to stay in the house for long, you could actually lose money on refinancing. Carefully consider the pros and cons of refinancing your home before taking this cost-cutting step. If you have a credit card with rewards points, use them. But use them wisely. Keep in mind that credit card companies offer points to induce you to spend more. So don't pay more (by racking up interest or fees) in order to get rewards points. To accumulate points faster, concentrate your spending on the one card that offers the reward you will use rather than spreading your spending among several cards. Saving rewards points for your dream vacation or another splurge runs the risk of the points expiring or never being used. Using points on a regular basis helps you cut your monthly expenses. Consider using rewards systems that pay cash or offer gift cards that you will actually use. Like phone and cable industries, your utility company likely has more competition than it once did. Often you can change gas or electric suppliers for a better price on your energy needs, while still remaining a customer of the same utility company for billing and delivery purposes. However, these other suppliers don't always have a better price so be sure to do some comparison shopping. But, of course, the old-fashioned way to save on utility costs is simply to conserve electricity or waste less water. Monthly interest can be a huge expense for those with a large debt. Making only a minimum payment means the monthly interest eats up most of your payment. Reducing interest can mean more money for other expenses or the ability to pay off debt faster. One way to lower your interest is to simply ask for a lower interest rate. Companies will often oblige to keep your business. If they don't, consider a balance transfer to another card with a better rate. Read the fine print, though, balance transfers sometimes offer rates that go up after a period of time and usually involve fees. Avoid interest in the first place by saving for holidays and other known expenses in advance.